Your new POS system. for more revenue & less hassle. Thank you for choosing ready2order. Discover why thousands of customers already trust in ready2order. Easy to setup. Award-winning POS. Customers love ready2order for its brilliant price-performance ratio. Our cloud-based online checkout system has won several awards and has been chosen as test winner. 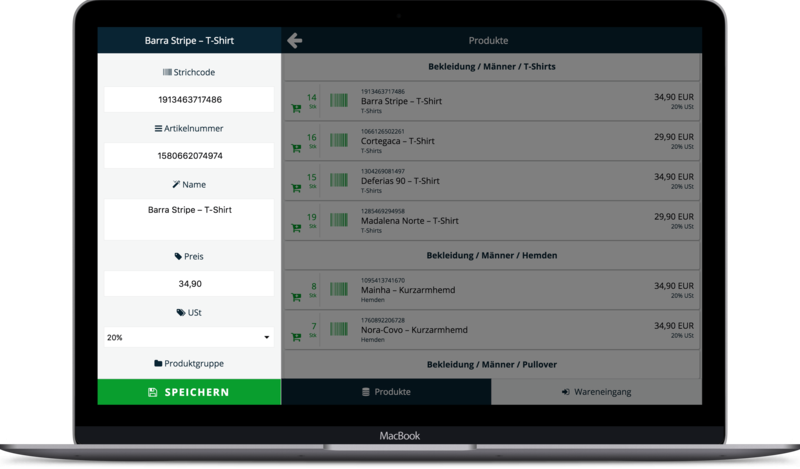 Intuitive operation makes the point-of-sale system particularly easy to use. A major advantage of ready2order is the comprehensible set-up and commissioning of the entire POS system. 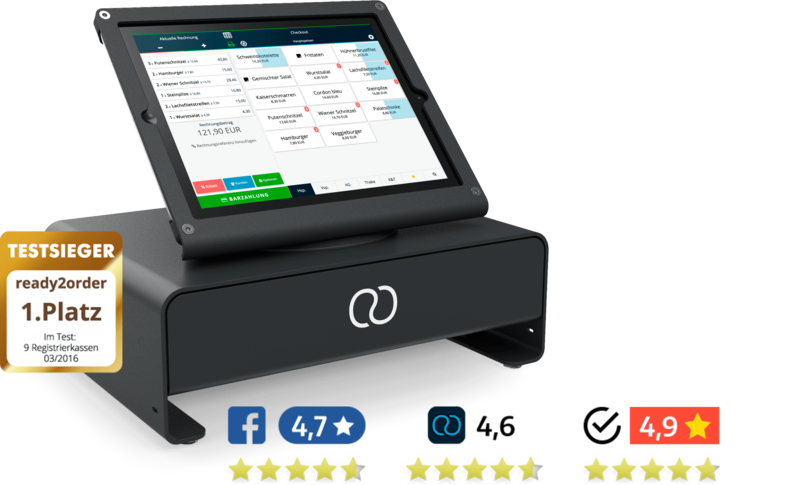 ready2order's POS software works on any device - iPad, Mac, Windows and Android, even your existing hardware - all you need is a web browser. Inventory management. comprehensive & clear. POS providers often advertise the fact that their POS system is fully functional. What is not mentioned: For more features, you often need to buy a more expensive add-on package. This can't happen to you with ready2order. We offer the a wide range of functions at a single price, including merchandise management, statistics, shift schedules, data exports, etc. Customer service. free of charge & professional. At ready2order you can enjoy 15 minutes per day and 60 minutes per month of our free customer service. We offer additional support for 49, - € for 30 minutes. On weekdays you can reach us by phone from 09:00 - 17:00 o' clock. During this time, we are available to answer your questions about our POS software or hardware purchased from us. You will also find all instructions on our support page. Between 5 p. m. and 9 a. m. as well as on weekends, you can reach our service light, which receives your enquiries and forwards emergencies to our emergency team. Import & Export function. for all your data. Simply export your data from ready2order or send it directly by e-mail. 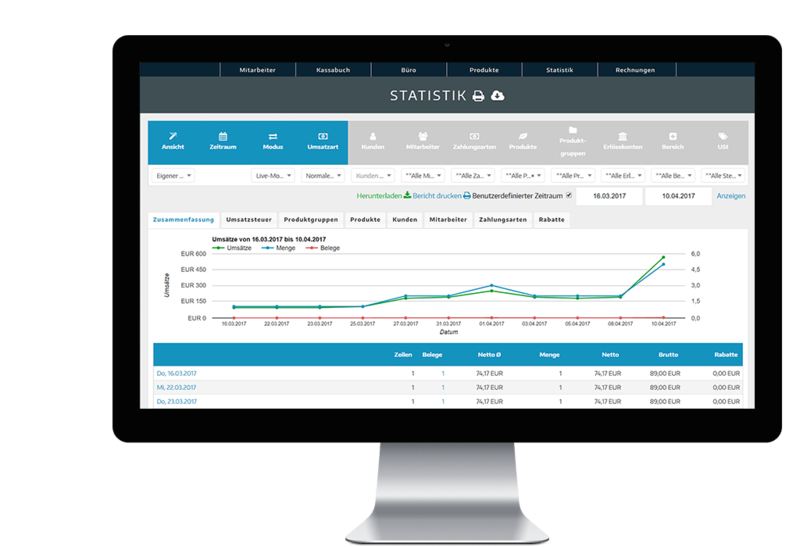 Sales data, invoices and data for the tax consultant are exported within seconds at the touch of a button. 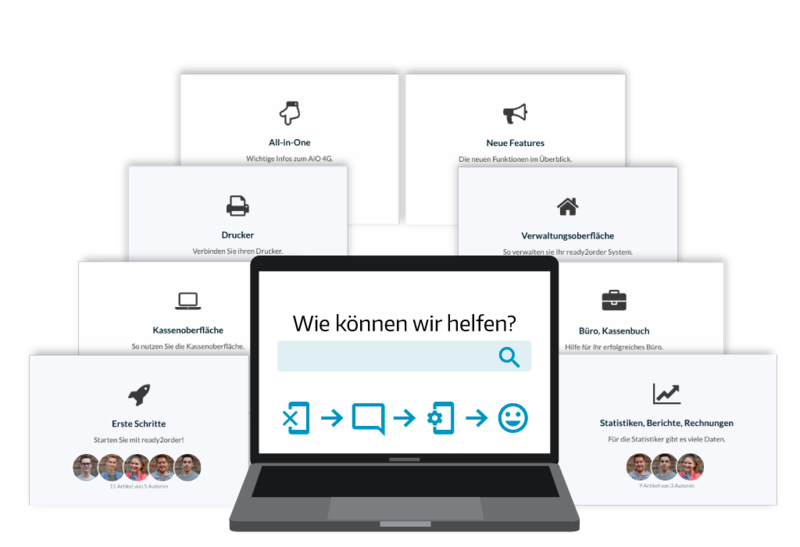 Discover all the advantages in a personal demo with a ready2order expert.